Been a while since I've done a Sample Sunday post right? But seeing as it is now Monday, I guess I failed here. Ha! Anyway, here's one on the Clinique 7 Day Scrub. It's hard to form opinions on products, like scrubs, which are not really on your skin for much longer than a minute. For me, a good scrub needs to be gritty enough to effectively slough off dead skin cells, while being gentle at the same time. I really don't expect much and I guess most scrubs will fit the bill. 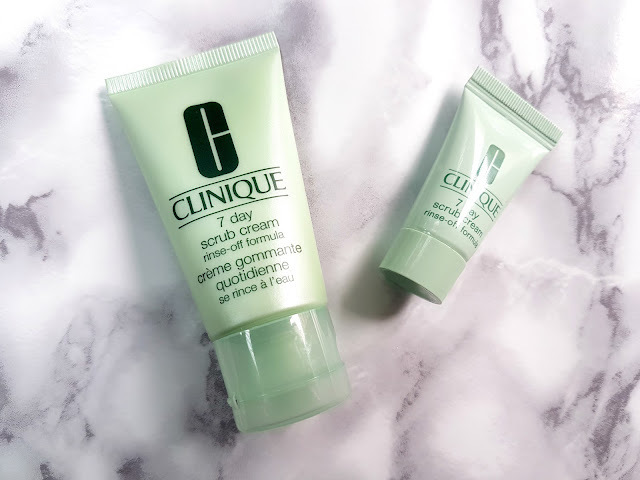 The Clinique 7 Day Scrub Cream claims to be gentle enough to be used 7 days a week, hence the name. I however find this a little more "scrubbier", for lack of a better word, than your generic daily use cream based scrubs and recommend that this is only used at the most once every other day, especially if you have sensitive skin. This scrub does however contain polyethylene beads which are not filtered out by wastewater treatment plants. Read more about microbeads and the effect they have on our environment and eventually us here. I'm trying to use and buy less products that contain microbeads and am happy to read that as of next year, products containing microbeads will be banned from sale in the US. However, Kuwait being Kuwait, I'm sure products containing them will still be sold for years to come. (Bottles containing BPA are still sold here, but that's a rant for another day). (i) the scent or rather absence of a scent. Clinique products are fragrance free, which is great, but this smells like rancid oil. Not initially mind you. It smells like plastic in the tube which I can handle, but the more I move this around on my face, the more it smells like oil. I can't get over the scent and my inner OCD makes me want to constantly sniff how bad this is while I'm scrubbing. I'm a nutcase aren't I? Ha! (ii) as I start exfoliating, I can feel my skin getting greasier. It's almost like the scrub releases an oil (which is probably what I'm smelling above) as you continue to scrub. After rinsing off the scrub, I'm left with a film like oily residue on my face and I am forced to follow up with a cleanser. Normally, I cleanse, scrub and then whack on my night cream or a face mask if I'm feeling fancy. Using this however makes me have to cleanse afterwards too. Its the end of the day, I'm feeling lethargic and the last thing I want to do is cleanse again. So, in summary, the Clinique 7 Day Scrub is a great scrub if you can get over the scent. This would work perfectly for those with normal to dry skin, but I would recommend us oily skinned girls to stay away from this one. 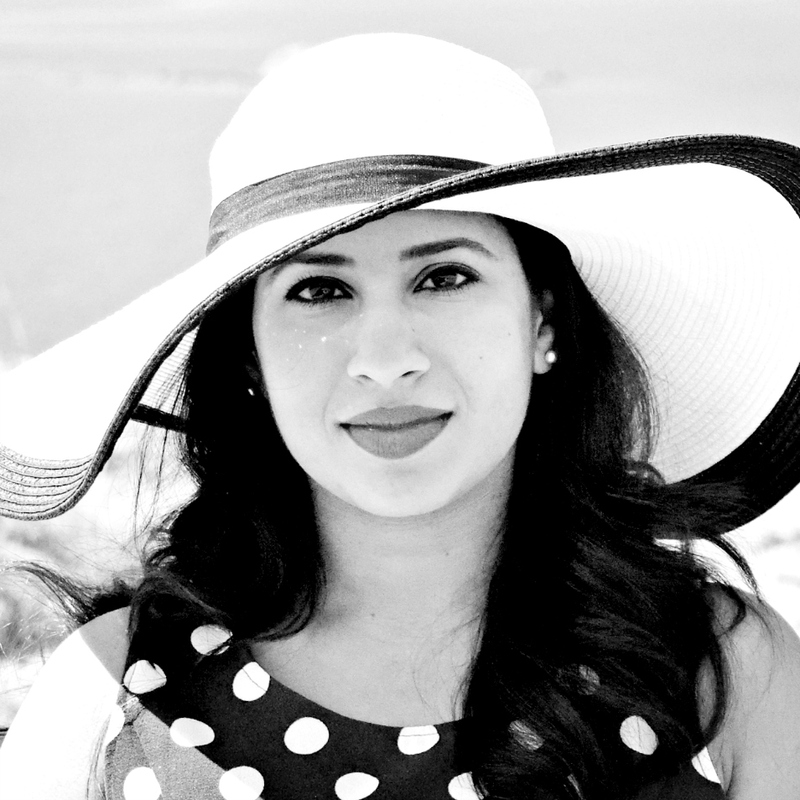 Use every other day and you're on your way to having gorgeously smooth and glowing skin! 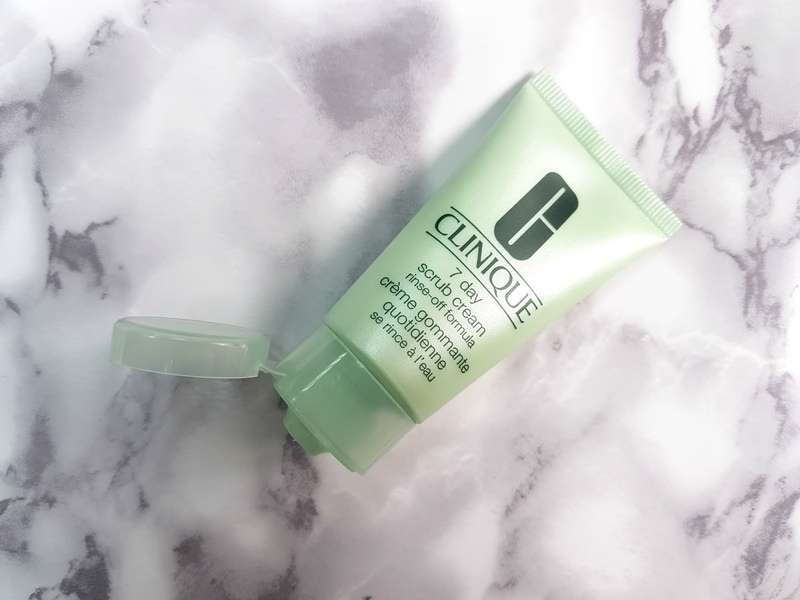 I've been using Clinque for years now and love their products, I try other things but always come back to my old faithful Clinque. I have not yet tried this scrub, but I see that changing in near future. Thanks for sharing! Personally I love Clinique, especially their colour pop lipsticks. But unfortunately this scrub just didn't do it for me. Thanks for stopping by! Never used those products. Thanks for sharing this. I've used Clinique for most of my life but just recently switched to Arbonne! My mom uses this scrub though and absolutely loves it. Arbonne? Oh, I've never tried anything from them. Should check it out. Thanks!